SAN FRANCISCO, CA - Pinoy California is set to channel Filipinos in the United States through a platform which would provide both Filipinos in the US and the Philippines variety of useful information. 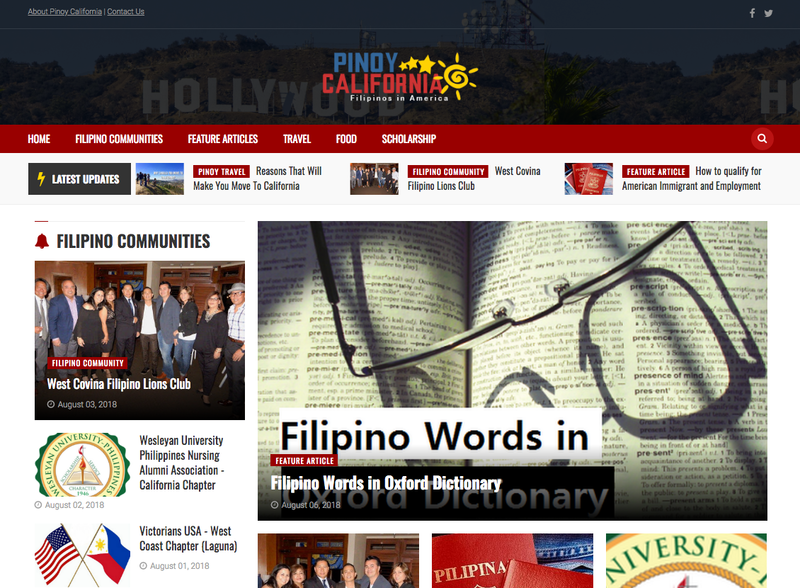 True to its name, it aims to give ‘Pinoy’ in ‘California’ and the US, bits and pieces of news and other relevant features and plans to even expand it globally. PinoyCalifornia.com started its beta run earlier in early 2018 under its founder Nash Ang. Accordingly, the media portal itself launches officially this August 2018 and promises to continuously provide the best of its features in the most relevant way it could. The initiative is established by OBRA Incorporated, a cultural organization that promotes the significance of Filipino culture & arts and uplift Philippine heritage, not just within the country but the whole world as well. The portal that aims to uplift and promote Filipino cultural values among Filipinos living in the States is supported by Google Nonprofits and Techsoup. This community focused site is also the contribution of the founder and the writers in helping with the preservation of Filipino's rich customs despite living in the western hemisphere. Since majority of overseas Filipinos in the United States are working and living in California, it is the carrier name of the site and features would start to kick off from this area under sub-categories which cover topics including travel, food, culture, news, technology and a lot more. Despite the distance, it is the goal of the Pinoy California is to bridge the gap between United States of America and Philippines through its people and our site would be the main platform for it to happen. As we shape and strengthen Filipino communities abroad, we also aim to pay tribute to all the hard working Overseas Filipino Workers and provide them support by showing what United States has to offer for them.